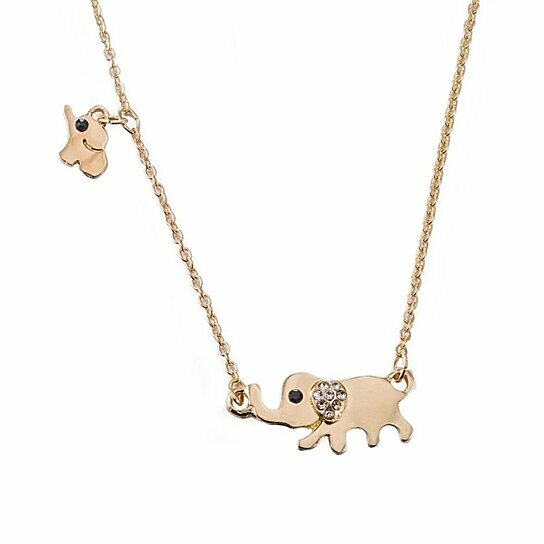 The Mother & Daughter Elephant Necklace is one of our favoritets. Carrying a sentimental message that we all need someone to protect us through our journey of life. For centuries, elephants have been consider one of the symbols of good luck. Wear it as a symbol of Love and luck...what better way to show your mother-daughter love connection. Just like the elephant mama, mothers nurture, and protect us, watching over us all throughout our lives. Makes for a perfect gift to your mother or daughter.